On Thursday, Pakistani President Mamnoon Hussain visited Kabul for one day upon the invitation of the Afghan government, marking his first visit to Afghanistan since taking office in September 2013. Hussain’s visit, which comes on the occasion of the Persian new year, Nowruz, will attempt to strengthen Pakistan’s relationship with Afghanistan. Hussain was accompanied by Pervaiz Rashid, the Pakistani Minister for Information, Broadcasting and National Heritage. 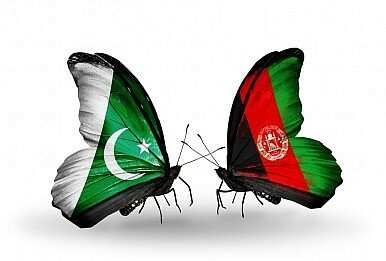 According to a statement released by the Pakistani Foreign Ministry, “The President’s visit is part of the efforts to strengthen bilateral relations with Afghanistan in all dimensions and support efforts for durable peace, stability and prosperity in the region.” The Afghan government also invited other leaders from around the region to participate in the Nowruz celebrations. “On the sidelines, the President will be interacting with the other participating leaders, during which bilateral matters and regional issues of peace and security and trade and economic cooperation are expected to figure,” the Foreign Ministry statement added. The visit comes in the wake of Afghan government accusations that Pakistan’s intelligence agency, the Inter-Services Intelligence (ISI), may have abetted the perpetrators of the deadly terror attack on the Serena Hotel in Kabul last week. Pakistan’s support of the Taliban government from 1996 to 2001 as well as its strategic interests in maintaining Afghanistan as a weak buffer state have caused Afghan policymakers to regard it with suspicion. Particularly as the United States draws down and prepares to withdraw its troops from Afghanistan at the end of this year, Afghanistan remains concerned that a resurgent Taliban could find clandestine support from Pakistan. Afghanistan’s President Hamid Karzai is on his way out soon after the elections scheduled to take place next month. In his last few months, however, Karzai has accomplished quite a bit with regard to Afghanistan’s foreign policy with its neighbors. After infamously refusing to sign the Bilateral Security Agreement with the United States, which would have allowed a small U.S. troop presence post-2014 for limited counter-terrorism and training operations, Karzai has reached out to India, Iran, and Central Asian states for security and economic cooperation. Afghanistan will soon have a new president and a new government – all the likely successors have indicated that they would sign the Bilateral Security Agreement with the United States. Karzai has attempted to hedge Afghanistan’s post-2014 security options by seeking security cooperation with most of its friendly neighbors and remaining skeptical of Pakistan. His successors will likely do the same.